Obviously the blogging community has been huge for me this year. I've met FANTASTIC people who are willing to share and show the ropes. However, blogging has become something of the excuse for being on Twitter. I think many avid Tweeting folk will admit it. They blog maybe once/week, but they engage Twitter as much as they can. Twitter has enabled me to discover the ROBUST community of social media users in Nashville, TN. I've talked about a few before here. And if you follow me on Twitter at all, you will find me RT'ing the heck out of a few of those folks and more. Nashville, if you forget, as many people have, was hit by a huge natural disaster this last year. 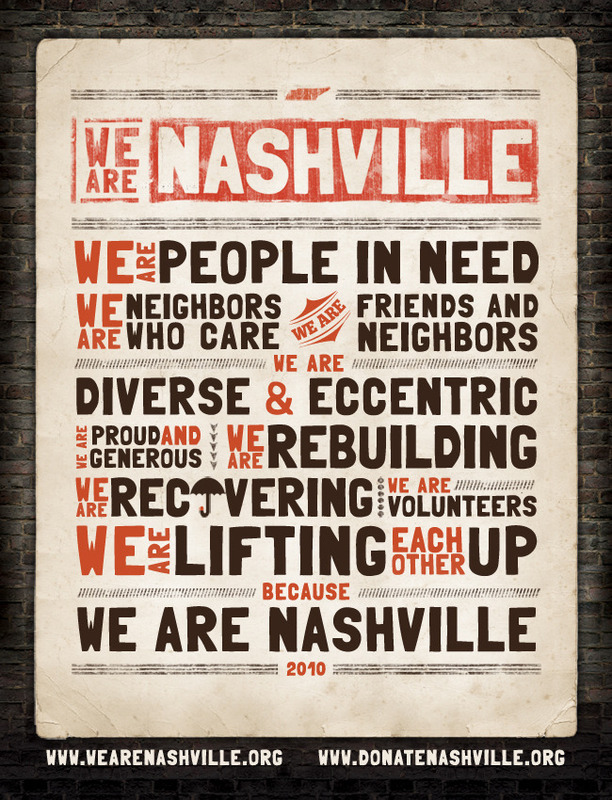 However, in one of the best examples of making lemonade out of lemons, Nashville bonded together into "We Are Nashville." That's community I enjoy to see and love to watch. I am looking for those other opportunities to see what other communities are doing ALL the time.